Yesterday, Entertainment Weekly revealed that Darth Vader will be on hand to menace characters in Rogue One, the standalone film that will serve as a prequel to A New Hope. Now we have a bit more information about his appearance, and the good news is that he won’t sound any different. 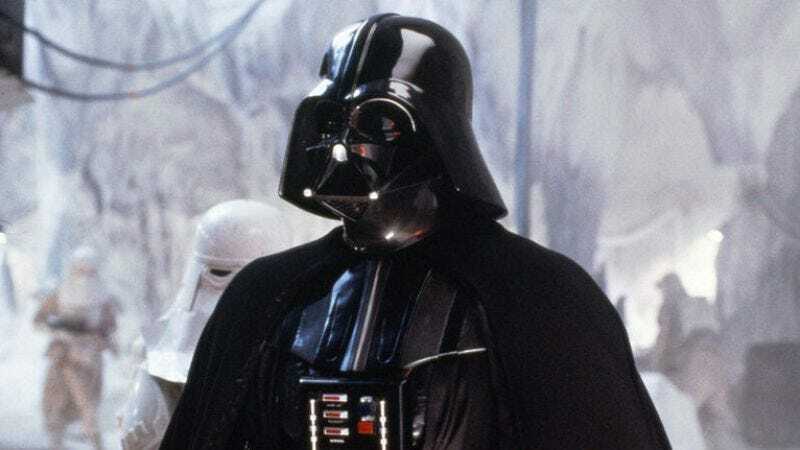 EW reports that James Earl Jones will once again be lending Vader his terrifying yet oddly soothing timbre. Fans needn’t worry that Jones has gotten rusty—he’s voiced the character on DisneyXD’s Star Wars Rebels. Jones probably didn’t have to put in much time in the recording studio, though, as producer Kathleen Kennedy told EW that Vader “will be in the movie sparingly.” That’s not to say that his role isn’t important to the film—Kennedy also noted that “at a key, strategic moment, he’s going to loom large.” (Speaking of looming large, various tall people will give Vader his corporeal form for the movie.) The sparing use of Vader is probably for the best. Remember what happened when a whole trilogy of Star Wars prequels focused on Anakin Skywalker?